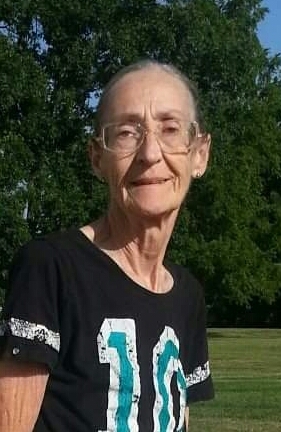 Gladys Beneta Belew, 71, of Pleasant Hill, MO passed away February 2, 2015 at her home. There will be a private family service at a later date and a memorial dinner to be announced at a later date. Cremation. In lieu of flowers, memorial contributions may be made to Meals on Wheels in Pleasant Hill MO. Gladys was born May 31, 1943 in Warrensburg, Missouri, the daughter of Ray and Ruth Robinette Manning. Gladys was preceded in death by her parents; daughter, April Dawn Belew; two brothers, Roy and Wilbern Manning; three sisters, Sarah Rivers, Gertrude and Susie Petty and great grandson, John Aiden Belew-Barber. She is survived by her daughters, Angela Bailey and Alicia Belew; two sisters, Goldie Lampton and Ruthy Lampman; three brothers, Raymond, Clarence and Walter Manning; grandson, Zachary Belew and great granddaughter, Arabella Belew. Gladys was an avid bird lover. Arrangements: Cullen Funeral Home, Raymore, MO (816)322-5278.